Welcome to Ridenhour Brothers Printing Inc.
We are a local print shop located in Ellisville, Missouri. 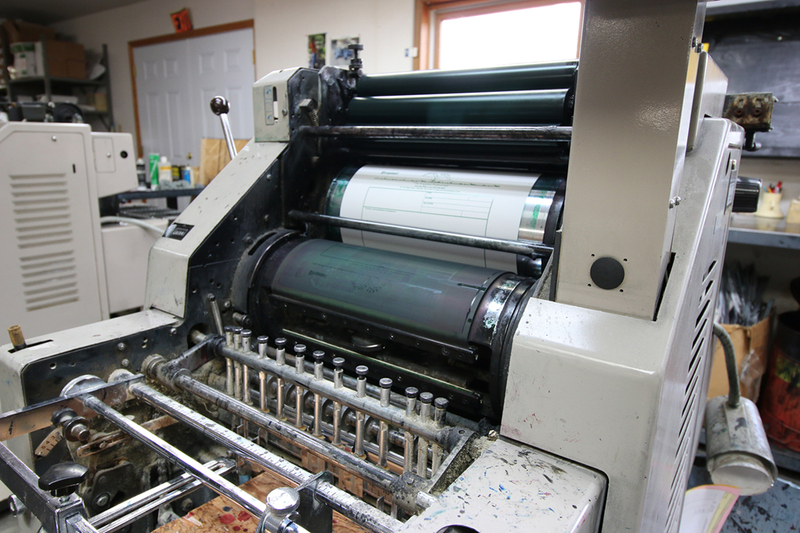 At Ridenhour Brothers Printing we can provide offset printing as well as digital printing. If you are looking for expert printers, look no further. With over 40 years of experience, we love to help our customers achieve the best results for their next marketing campaign, business printing needs, wedding invitations, or for a few quick copies. Our prices are always more affordable than the larger chain stores. Give us a call, fill out the form below, or stop by for a quote. We would appreciate the opportunity to help you print your next project. We offer a wide variety of printing services, from personal to business, and everything in between! 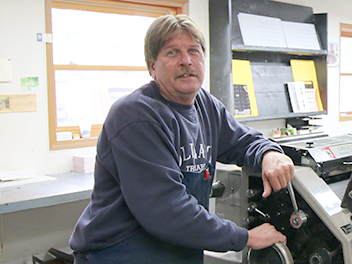 Established in 1976, Ridenhour Brothers Printing was founded by Terry Ridenhour’s dad and uncle. In 2000, Terry Ridenhour and Kevin Palubiak took over the family business. They still proudly own and operate the print shop today. I was wanting to coordinate our new Gift Certificates to the menu, so I drafted up something and emailed it to Terry Ridenhour at Ridenhour Brothers Printing. Terry hand delivered it to me and I would really like to thank him for the excellent job he did. They turned out beautiful! Thank you Ridenhour Brothers Printing and Terry Ridenhour. Great Job. 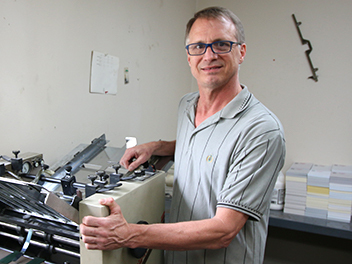 Terry and Kevin are always helpful with getting our clients' print projects done quickly and affordably. They are experts at what they do, so they always have a solution to any of our printing needs. From quick copies to highly in-depth professional printing projects, we never doubt that they will exceed our expectations. Have a question? Need a quote? Give us a call or fill out the form and we will get back to you. Upload A File To Be Printed: (pdf, gif, png, jpg, jpeg, eps). If you have any issues, please use the Send A File link above. Copyright © 2016 Ridenhour Brothers Printing Inc.